I'm kinda insane for saying this.. But I’m really considering going this route. I emailed them. That price is real. As in I don’t have to have 6 toes on my left foot to get all the rebates. Like, that’s it. Plus destination and doc fees. 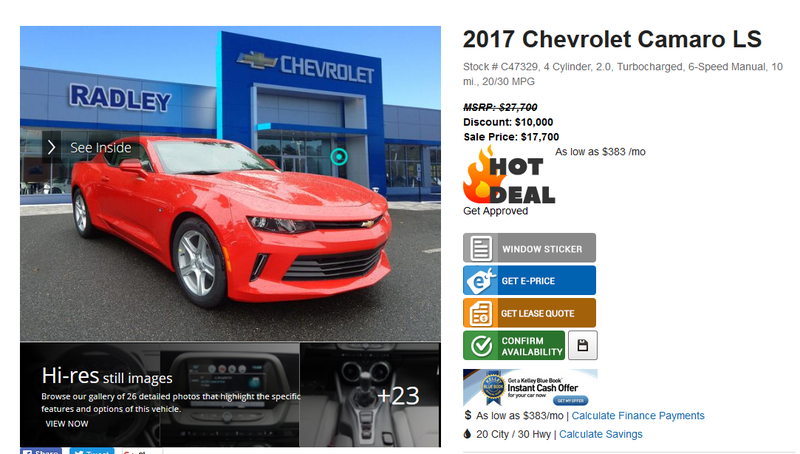 Add in my $3000 in GM rewards, and it’s kind of a steal for a car with a warranty, a 6 speed, and 295 ft. lbs of Torque. And yeah, that blue one I linked earlier, they had like $4000 in stuff I didn’t qualify for.